When you travel, how concerned are you about your hair? I don&apos;t know about you lovelies, but I don&apos;t want to worry about anything, beyond the good time I&apos;m having when I&apos;m on vacation. So, I try to carefully select beauty products to pack that can take the worry out of doing my hair for instance. I obviously don&apos;t want my tresses to look like a hot mess, but I also don&apos;t want to spend a ton of time on it. Mama&apos;s got better things to do! That was especially true on our recent dude ranch vacation. My mane spent a good amount of time under a cowboy hat. That being said, there were also a good amount of photo taking opportunities, but I didn&apos;t have to worry about my hair thanks to the all in one hair product I&apos;m going to share with you today! And it&apos;s super budget friendly too, so double score! 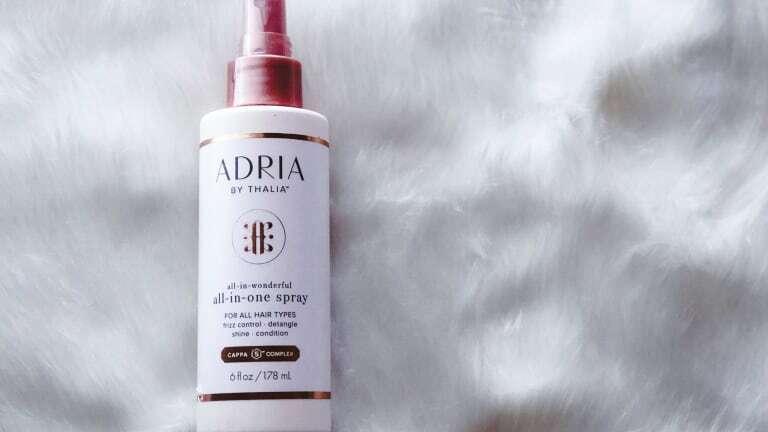 Who wants a hair spray that can detangle, defrizz, condition and add shine ALL at the same time? Who wouldn&apos;t right? 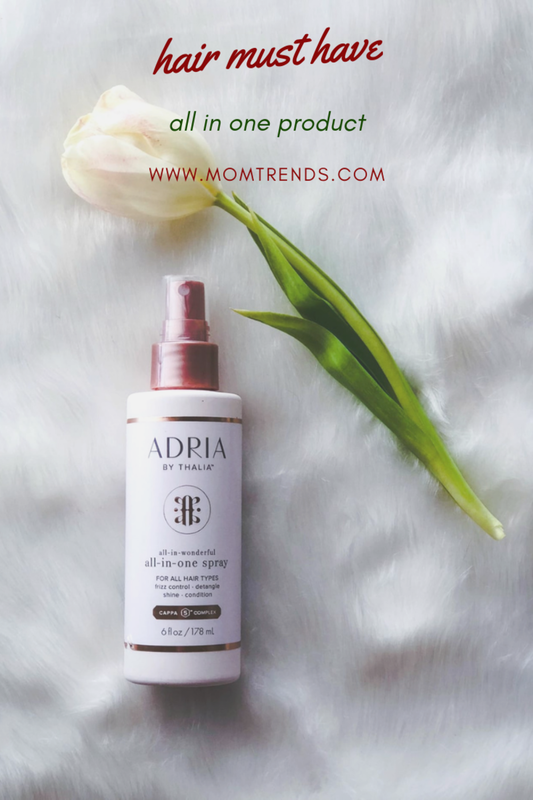 Well, then, the Adria by Thalia all-in-one spray is for you! This is the ultimate leave in treatment and the perfect product to pack for your next getaway. I found that it was a wonderful way to combat the super dry air out west. I simply spritzed it on after washing, then styled as usual. And did I mention that it also helps prevent your color from fading? I got my hair highlighted right before my trip, so it felt great knowing that I was protecting all that fresh color! 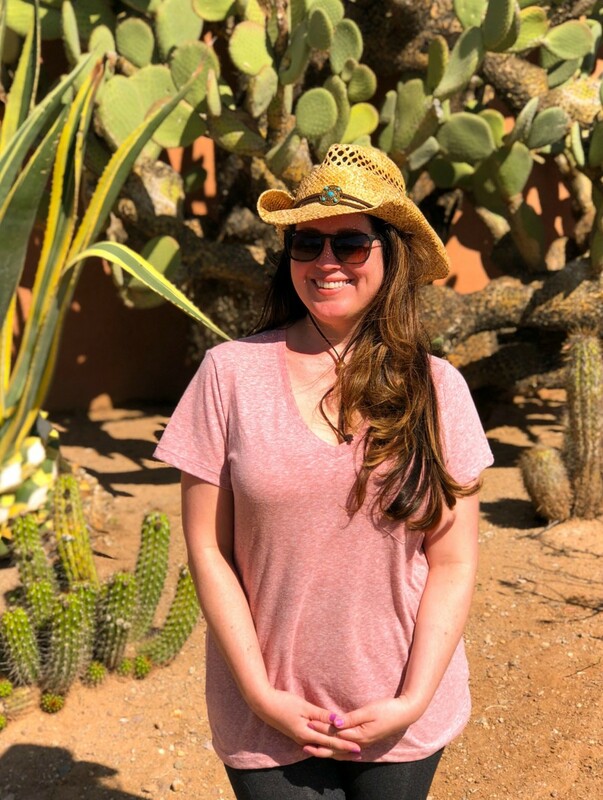 And while we&apos;re on the subject of my favorite travel beauty products, make sure you check out the best face mask for dry skin that I recently shared! It will keep your complexion nice and dewy. And it&apos;s especially great for the plane. We all know how dry and tight our skin can feel after the wheels go up! Am I right? And for even more beauty tricks, take a look at the face mask I can&apos;t get enough of! It&apos;s another major multi-tasker! And if us busy mamas love anything, it&apos;s anything that multi-tasks for us! We were not paid for this post. It does contain affiliate links that we could earn income from to help us bring you this site.